There are three great classical music pieces that come to mind when the country Scotland is mentioned. Both composers of those three pieces are ironically German composers in the Romantic Era of music. Felix Mendelssohn had two pieces with a Scottish flavor, his Symphony #3 in C-minor, known as the Scottish symphony and his Hebrides Overture also known as Fingal's Cave which has been featured many times on this classical music blog because it is so very beautiful. 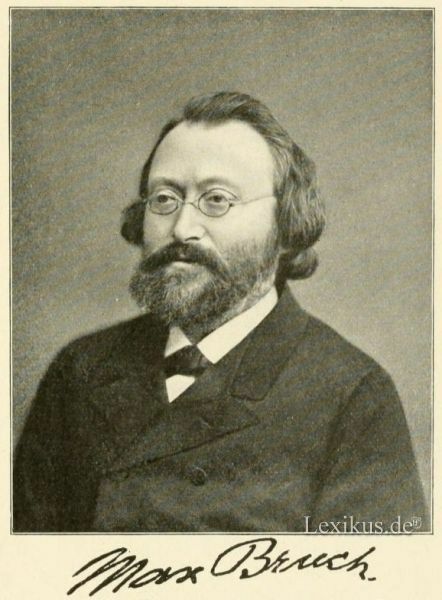 Another German composer, Max Bruch, had his stirring piece for violin and orchestra known as the "Scottish Fantasy". 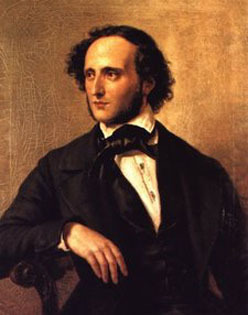 Felix Mendelssohn, one of my favorite composers because of the so many beautiful melodies he includes in his pieces, was 33 years old when he composed his 3rd symphony. It is thought that a painting Mendelssohn saw on a trip he had made to Scotland inspired him to compose this symphony. This is heard in the opening theme of the first movement. Thus, this third symphony is known as the Scottish symphony. Mendelssohn's gorgeous Scottish Symphony is scored in the typical four movements: 1. Andante con moto-Allegro un poco agitato, 2. Vivace non troppo, 3. Adagio and 4. Allegro Vivacissimo. Max Bruch was a great composer and conductor of the late 19th and early 20th century. Although Bruch never visited Scotland, he pays homage to Scotland with his Scottish Fantasy for violin and orchestra in E-flat Major. He composed this piece in dedication to the virtuoso violinist Pablo de Sarasate. The Scottish Fantasy is one of Bruch's signature pieces. I also love this piece. Please turn up the volume and enjoy today's "Scotch" treats, Mendelssohn's Scottish Symphony, Mendelssohn's Hebrides Overture and the finale of Bruch's Scottish Fantasy for violin and orchestra. If beautiful melodies were good food, then you will be highly satisfied with these wonderful treats. Note: In the Mendelssohn Symphony the 2nd movement begins at the 17:04 mark, the 3rd movement at 21:14, and the final movement begins at the 30:53 mark. Thank you, Scotland for inspiring this beautiful music. So, in your honor here is your national song, "Flower of Scotland" and the well known traditional Scottish song [composer unknown] "Loch Lomond" [I'll Be In Scotland Afore Ye].